With the aging of post baby boomers our country’s population of elderly has risen dramatically, particularly in Maine. Maine.gov reports that 14% of Maine’s population is age 65 or above. Projections show that by 2030, over 22 percent of Mainers will be past traditional retirement age. 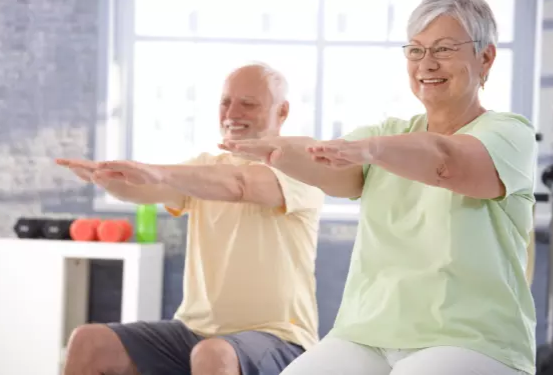 This creates a number of challenges for families and for medical and social service providers who want to ensure optimal health and quality of life for people as they age. While information is readily available about physical health concerns as we get older, we tend to be less aware of issues regarding mental health, substance use disorders, and risk of suicide among those over age 65. According to the World Health Organization (WHO), the most common mental health disorders in this age group are dementia and depression. Anxiety disorders affect 3.8% of the elderly population, substance use problems affect almost 1%, and around a quarter of deaths from self-harm are among those aged 60 or above. Perhaps most staggering is the American Psychological Association’s estimate that 20.4% of all people over 65 live with a mental health disorder. There are a great many factors that contribute to mental health challenges among the aging. We know that post retirement financial difficulties can be stress-inducing. We know that increasing physical limitations, like hearing or sight loss, are difficult to accept and may lead to loss of independence. We expect that this age group will experience more bereavement as they are more likely to experience the loss of friends and loved ones. Those who serve the elderly understand the interconnectedness of physical and mental wellbeing. For example, the loss of physical mobility/independence as a result of aging can lead to higher levels of depression, and higher levels of depression may further reduce mobility/independence. Practicing some of the most basic forms of self-care can have a very positive impact on both physical and mental wellbeing. Maintaining the right fluid intake, eating healthy and exercising daily are important to overall health and well-being. There are especially crucial benefits to maintaining a regular sleep schedule because it is not uncommon for this age group to become “night owls” or overly sleepy during periods of depression. It’s important for everyone as they age to have a feeling of purpose in their lives. In fact, increasing opportunities for socialization can have a positive impact on mental health. There are few more precarious conditions for one’s mental health than not having a compelling reason to get out of bed in the morning. This is why volunteer and mentoring opportunities can be invaluable as we age. “The value of peer support or socializing with others who are the same age and have shared experiences cannot be understated,” said Heather Norris, LCSW, Outpatient Clinician at Maine Behavioral Healthcare. We also know how hard it can be to locate quality mental health care for seniors and their families. At Maine Behavioral Healthcare (MBH), we understand that this period in life is a time of increased vulnerability. MBH team’s goals are to identify the nature and causes of common problems, to use the most effective treatments available to help restore mental health, and to discover strategies that enhance resilience and better manage the distinctive stressors of late life. “To help meet the needs of older adults with complex needs, Maine Behavioral Healthcare has Behavioral Health Homes. This model is similar to case management, providing a case manager, peer support specialist, and nurse care manager to work closely with primary care providers. We also have behavioral health clinicians embedded in practices to provide true mind-body care at the doctor’s office. This helps reduce stigma and barriers to mental health care because patients are already being seen in the practice,” said Norris.